The Second Round of the FIFA World Cup is done and dusted and well there are a few teams already through to the Round of 16 and other teams have already started packing their bags to go home. For everyone else there is a lot to ride on the final game. To make it easier for everyone, here are the permutations of the final group games. Brazil – Win or draw they will qualify, they will also qualify if the lose and Mexico win or Croatia beat Mexico by the same GD as Brazil lose by. Mexico – Avoid defeat and they are through, a defeat can still see qualification if Brazil lose to Cameroon by two more goals than they lose by. Ivory Coast – Win or draw coupled with Japan avoiding victory would see the Africans progress. Japan – Have to win and hope Ivory Coast do not. If Ivory Coast draw, then Japan must beat Colombia by two goals to guarantee progress. Greece: Have to beat Ivory Coast which will put them above their last-round opponents. They then have to hope Japan do not beat Colombia. If both Japan and Greece win it will come down to goal difference, and if they finish with identical goal difference (this could happen if Greece win 3-0 and Japan 2-1) they will draw lots for second place. France – Need a point to be certain of both qualification and top spot in the group, though their far superior goal difference would require a four-goal defeat to Ecuador, and probably a five-goal win for Switzerland for them to finish third. Ecuador – Will qualify with a win unless Switzerland win by two more goals in their game, or if they better Switzerland’s result. If both games are draws then Ecuador will qualify. Switzerland – Must better Ecuador’s result. 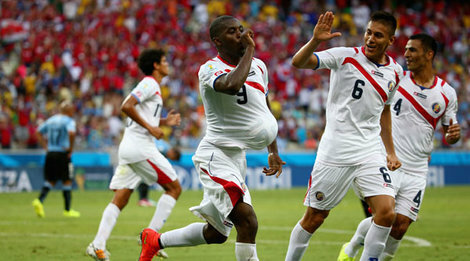 If both teams win, Switzerland will have to win by two more goals than Ecuador beat France. If that happens three teams would be level on goal difference, with France first, Switzerland second and Ecuador third unless the huge scorelines as noted above occur. Honduras – Must beat Switzerland, and probably by three goals to stand any chance, although though a 3-1 win would put them ahead of the Swiss on head to head and 4-2 on goals scored. They would also need Ecuador to lose to France by at least two goals. There is a scenario when all can finish with goal difference of 4-6, which would see the group decided on three-team head to head, and in that Honduras would finish second by virtue of the big win against Switzerland they would need to force that situation. Nigeria – Avoid defeat to guarantee qualification, if they lose will qualify if Iran dont win. Iran – Must win by one more goal than Nigeria lose by. Germany – Need a point to secure both their place in the next round and top spot, and it would take big scorelines for them to even be eliminated with a defeat (see below). 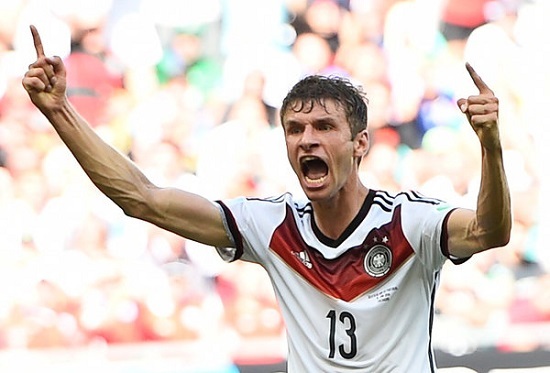 United States – Need a point to secure their berth in the round of 16 but must beat Germany to finish top. Could also qualify with a defeat (see below). Ghana – Must beat Portugal to have any chance, and hope there is a winner in the other game. If Germany lose, Ghana would need a five-goal swing in goal difference, head to head is level. If United States lose, Ghana have a real chance. Ghana would qualify if either game is decided by a margin of two goals or more. 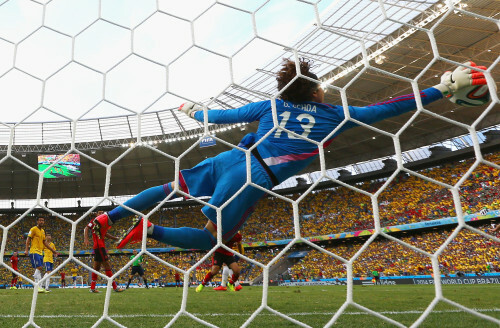 If the U.S. lose by one goal, Ghana would need to win by two goals or be involved in a higher-scoring one-goal win. For instance, a 1-0 scoreline in both games would put United States through on head to head. So, if the U.S. lose 1-0 then Ghana must win 2-1 to qualify on goals scored. Portugal – Must beat Ghana and again hope there is a winner in the other group game but their heavy defeat to Germany means they have slim hopes of qualifying. If Germany lose, Portugal will need to win with a very unlikely goal difference swing of eight, and Germany hold the head-to-head advantage if goal difference finishes identical. If United States lose, Portugal will need a goal difference swing of five (head to head is level), so for instance Portugal would need to win 3-0 and USA lose 2-0. The teams will draw lots if goal difference is identical (this would happen with a 3-0 U.S. defeat and a 2-0 Portugal win). Algeria – Must beat Russia to be guaranteed a place in the knockout rounds. A draw will likely also be enough due to their superior goal difference up against South Korea, as a point will send Algeria through unless South Korea beat Belgium by three goals or more. Russia – Have to win against Algeria and will definitely go through if South Korea do not beat Belgium. But a win might not be enough as South Korea could overtake them on goal difference if they do win. South Korea – Must pick up all three points against Belgium and hope other results go their way. If Algeria-Russia is a draw then South Korea would have to win by at least three goals to go through. If Russia beat Algeria, then South Korea need to win by a greater margin than Russia to qualify. If Algeria beat Russia then South Korea are out.